What kind of New Years Resolutions do you think your cat is making? Your cat may have some very serious plans for 2015. Here are a few listed. Can you think of more? I will try to not use owners sofa, arms,legs or any other body part as a scratching post. I will try to not mark my territory in my owners house by urinating everywhere. I will try to take less naps and play with my owners every day. Good exercise and plenty of fun for all. 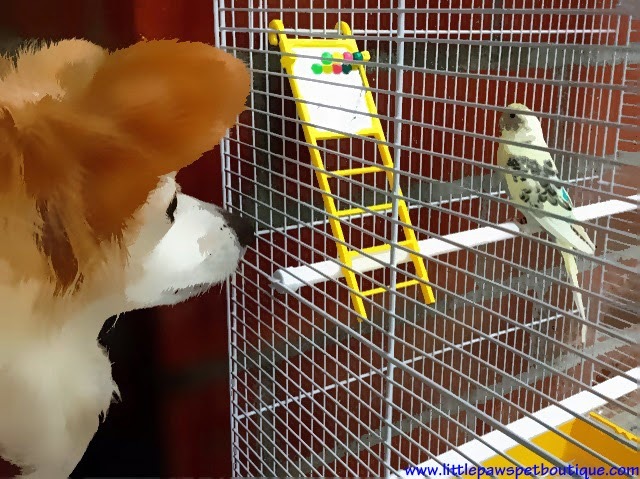 I will try to to learn to love my carrier because I know it is for my own safety and it will make trips out of the house less stressful for my owners. I will try to take more outings....maybe on a leash? I will take better care of myself by going to the veterinarian in a timely manner and watching what I eat to have a long a happy life. I know that preventative health care is good for me. I will finally catch that red laser dot! I will be the best me I can be. Live, love and meow. New Years Resolutions would be? 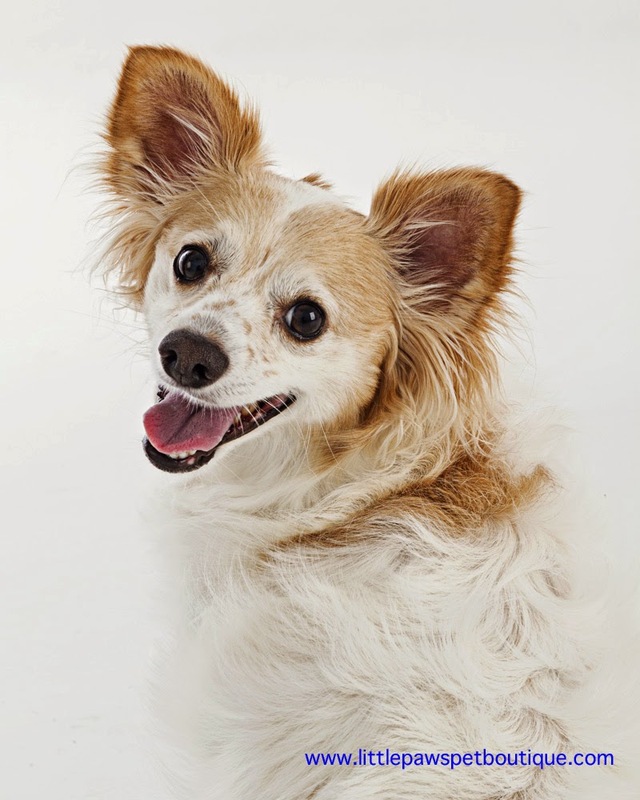 Let's get an inside scoop by asking Gidget, Little Paws Pet Boutiques Chief Dog Officer. Here are some of her New Years Resolutions. 1. I will spend more time showing unconditional love (is that even possible) and understanding to my owner by letting him or her brush me, pet me, hug me, play with me...wait this is all about me isn't it. 2. 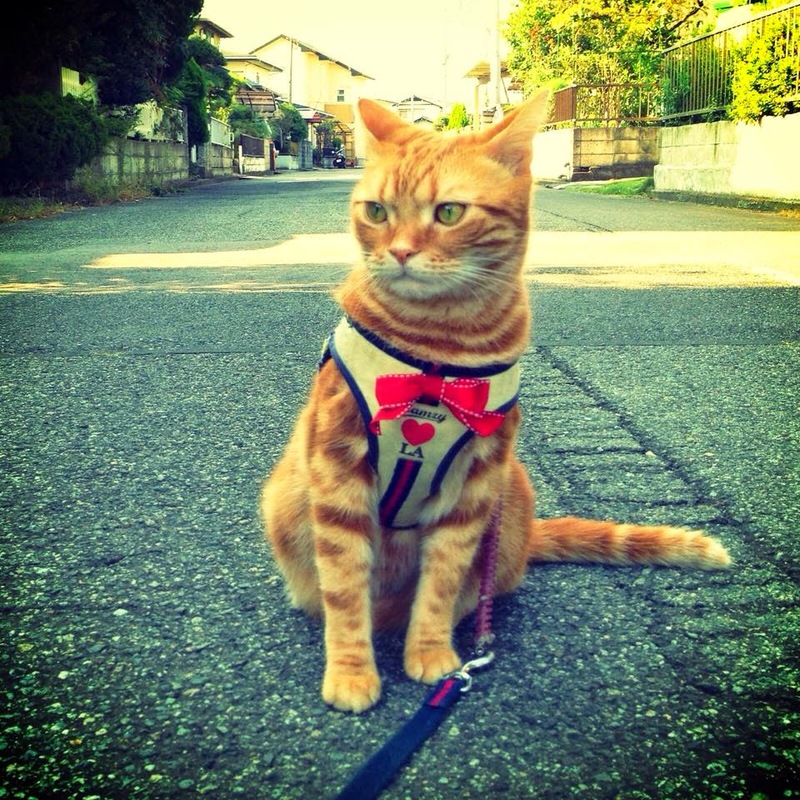 I will go out on more walks with my owner letting him or her keep up the pace. Exercise and being outdoors is good for mind, body and soul for both dog and owner. Also, I will go on more beach outings and dog park outings so my owner can socialize with other dog parents and I can sniff, jump, dig, play, pee and poop. 3. I will not be so picky when it comes to food in the bowl. Homemade treats are the best! Check out “Cookbook For Dogs” http://www.cookbookfordogs.com/ this cookbook is sold by Pomeranian cousin Kuma and his mom. I like being the taster and treat tester. Also, I plan on adding more fruit and veggies into my diet. I like cooked carrot, peas, green beans and plain pumpkin from a can. For some reason I don't like cut up apple unless there is peanut butter on them but, then I just eat the peanut butter. 4. I will use playtime to entertain my owner and lower his/her stress level by making him/her smile, laugh and wag....oops wag is me. This is done by catching the ball/not catching the ball, squeaker toy tear up or shake down tug rope toy. 5. I will try to remember to not pick on our new parakeet Pikochan. I can't help that I love the sight, sound and smell of that bird. Learning to get along with other animals is quite pleasant. 6. I will allow my owner to trim my nails and brush my teeth without a fuss. Actually, I love to getting nail grindings but, I am still getting used to the toothbrush/doggie peanut butter flavored toothpaste combo. I know my owner means well and is doing these things to keep me healthy. 7. I will be the best me I can be. Live, love and wag...Gidget. At Little Paw Pet Boutique we are always on the search to bring you and your Little Paw new and exciting products. We also love to give back to our community. Here is a dog toy that combines both. 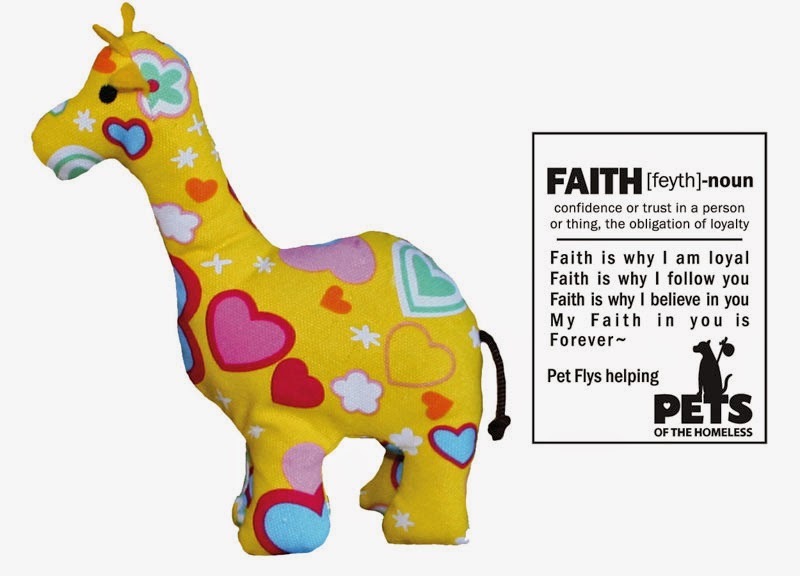 Perfect World Pets from Pet Flys are cute, colorful and durable dog toys. A portion of each sale goes to support Pets of the Homeless PetsOfTheHomeless.org in providing food, shelter and veterinary care. 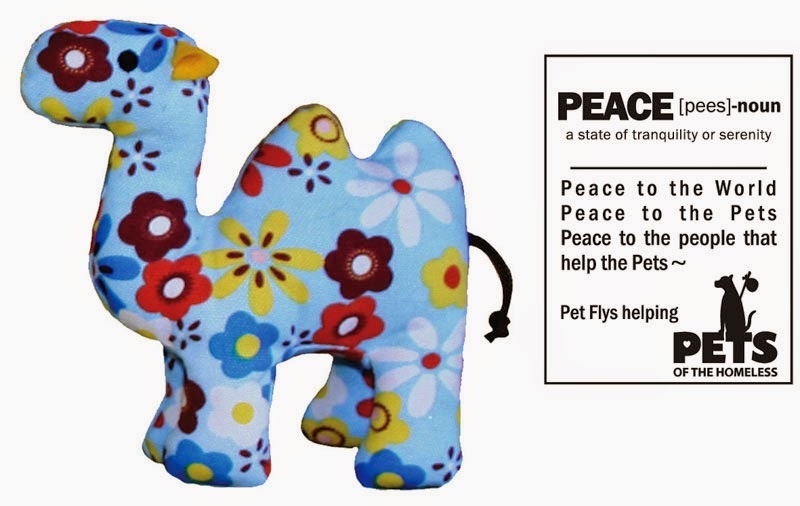 The three different 100% cotton canvas pet toys, named HOPE, FAITH & PEACE, come with hang tags that include their name and an inspirational message on the front. With your purchase you can treat your "little paw" to a new toy and help animals and people in need. Welcome to Little Paws Pet Boutique. Less than a month later I was giving away Mia's toys to the local shelter. This is where I found my dog Gidget. I always say "My dog sent me another dog!" Gidget was found on the streets of Orange at 4 months with a broken leg and was originally sent to the OC Animal Care then transferred to Laguna Beach Animal Shelter then to me...her forever home. We are Thankful every day! After 20 plus years of working in healthcare and being laid off work I decided to follow my dream of opening up an online pet boutique. We are constantly looking towards the future to bring you more exciting, eco friendly and made in the U.S.A pet products. By request we will be adding more large dog friendly products soon. Every year Little Paws Pet Boutique gives back and joins animal fundraising events for animal rescue groups. Also, a portion of our proceeds is donated to our local animal shelters and rescue groups to help provide medical care and comfort so they can find their forever homes. We are a small online business willing to make a big difference in this world. Over the coming months this blog post will be an area where we will add a news, tips, product updates and website links. Thanks for checking our website www.littlepawspetboutique.com out and Happy New Year!